For you to have a blog on blogger that will be successful and be recognized by search engines such as Google and so on and for you to have that steady traffic coming to your blog even when you are not online promoting your links you need to create a blogger sitemap and submit it, Search engines are very essential for bloggers that it brings profitable traffic and the only way this is possible is by you submitting your blogger blog sitemap to Google. In my previous post i wrote about the importance of sitemap to your blog you should read it and see the sitemap is very important for your blogger to submit. This sitemap once submitted allows your blog to get indexed by Google quickly and when you post or update your blog it will get index by Google. 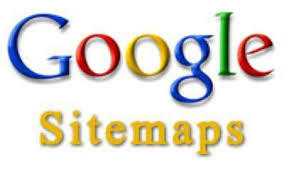 To submit your blog sitemap to Google can only be done in Google Webmaster Tools. Before you can submit your blog sitemap to Google webmaster tools, you need to verify your blog on webmaster tools first, if you have not done that you need to read that post. After verification of your blog you can now proceed to the stated process below. 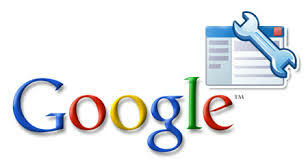 Sign in to Google webmaster Tools, after signing. On the top right corner, click the Add/Test Sitemap and once you click the button a box will appear and this is where you will insert your sitemap into. Now all you have to do is all insert the sitemap and you are done. so use that when your blog post is above 1000. Now google will accept the sitemap and then tender your blog post for submission for indexing. After accepting your blog post for indexing, it will now show your blog post on Google search engine and when you make or publish another post it will automatically submit the post and index it with time. so you can see submitting your blogger sitemap is very important. i have 1164 posts then how to add the sitemap? please help me. Very useful article really like it.